The all-new Cape Cod Men comes with a blue, anthracite or black lacquered dial, which is complemented by an indigo blue, or graphite or black matt alligator strap. It is also offered with a wristband in alligator or Barénia calfskin or a two-tone smooth calfskin strap combining Malta blue with Hermès red or étoupe. A new miniature version of a classic, the Nantucket TPM, further accentuates the outline of the original’s elongated case with the ‘anchor chain’ motif dreamed up by Henri d’Origny. Available in steel or gem-set rose gold, the timepiece is paired with either a vibrant single or double wrap-around strap in alligator leather. With the Florentine fleur-de-lis as its muse, Gilio represents a marriage of craftsmanship and panache. True to the brand’s identity, soft leather covers the entire watch, while the lugs and indexes at 6 and 12 o’clock feature accents in the shape of a lily, the symbol of Florence. 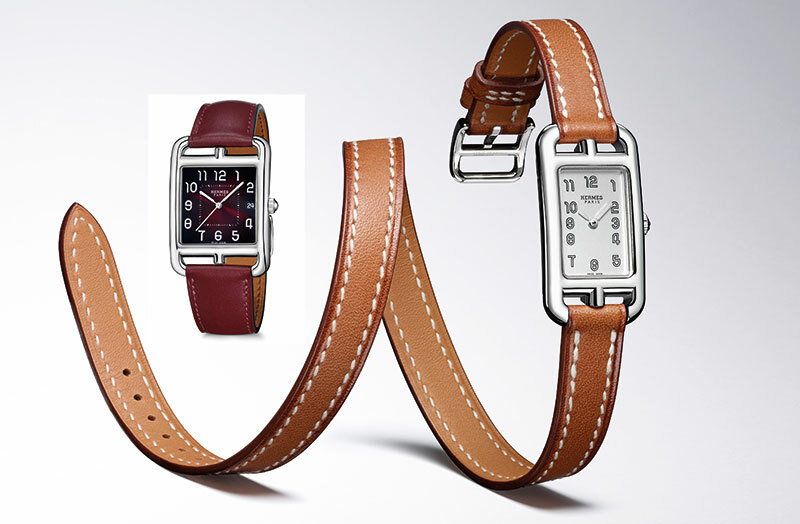 Shoe guru Christian Louboutin adds his own spin to a watchmaking legend with the Reverso Classic Duetto Officer Strap. 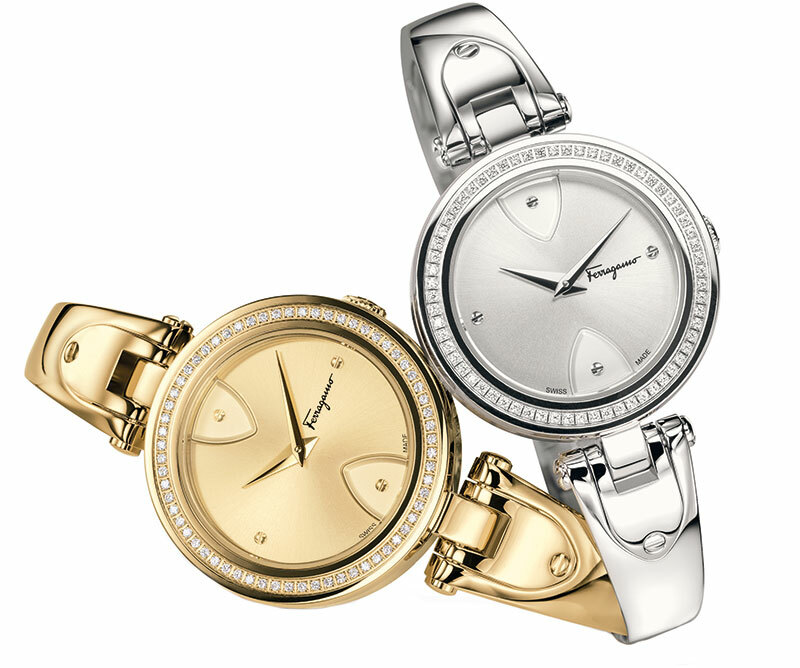 An applicollé miroir dial is stunningly offset by a calfskin strap arranged in layered scales with metal trim. Inspired by officers’ epaulettes, it is perfectly in tune with the military jacket trend. Contemporary and understated, each of the True Thinline Colours models is fashioned in matt or polished high-tech ceramic, in four uber-cool hues — forest green, chocolate brown, lunar grey and inky blue. Detail-free dials and a minimalistic aesthetic make the collection functional and versatile. A tribute that marks the 40th anniversary of the ladies’ version of the brand’s most renowned collection, the Royal Oak Frosted Gold maintains the design codes of the original while flaunting a silvered tapisserie dial. The impressive detail — a hammered gold finish covering the entire watch from case to bracelet — is the result of the age-old Florentine technique, which jewellery designer Carolina Bucci has been using for decades. 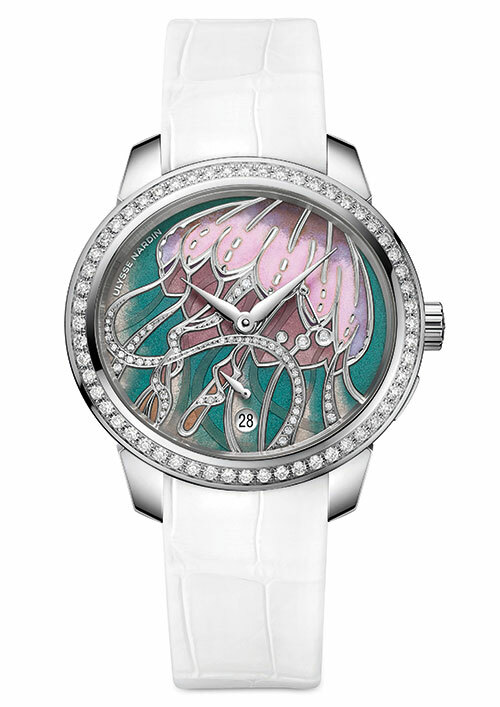 A statement piece in every sense of the word, the Altiplano Feather Marquetry dial is cloaked by iridescent duck, peacock and rooster feathers, and partially covered by a silver leaf. 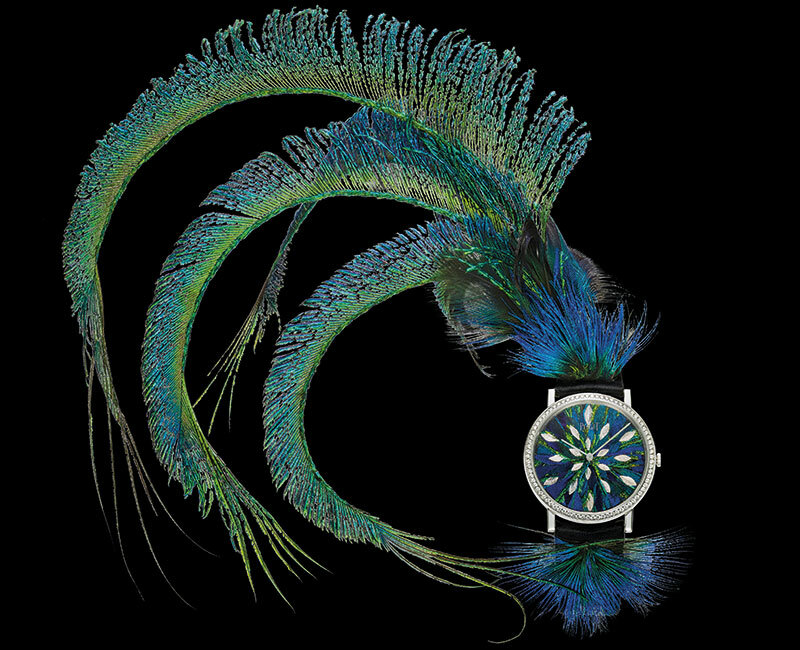 Its 18-carat white-gold case, set with 78 brilliant-cut diamonds, is held by a navy blue satin-look calfskin strap, adorned with even more peacock feathers. In the High Jewellery Gold Lacework Cuff Watch, gold becomes lace beneath the nimble fingers of Sara Bran — the only artisan in the world who practises this craft. 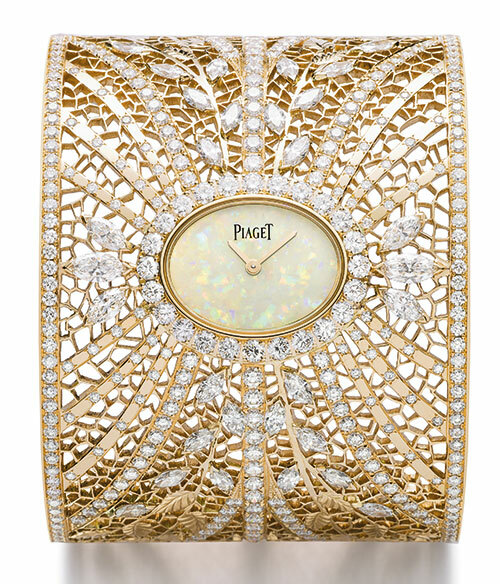 An oval-shaped white opal dial is encircled by a diamond-set bezel while gold lacework makes up the cuff, enhanced by fine engraved leaf motifs, speckled with prong-set marquise-cut or brilliant-cut diamonds. 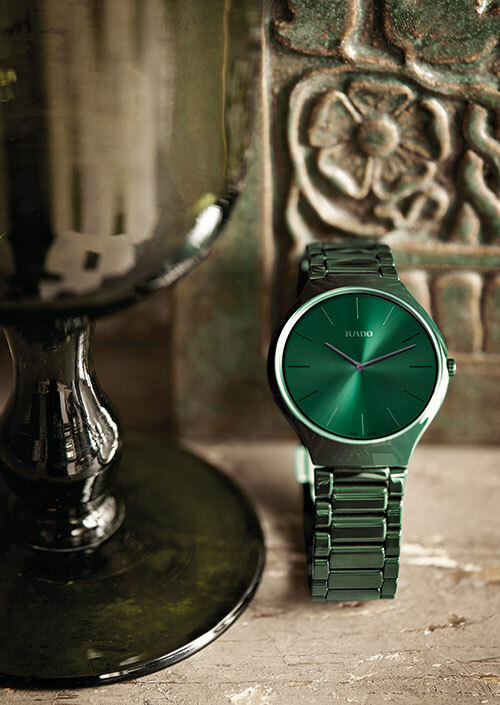 Thoughtful and elegant, the new Jade offers a ‘nail-friendly’ mechanism, intended to protect one’s manicure. An innovative crown design means that no pulling is required to wind the watch, set the time or adjust the date — only a simple turn. A dainty crown position indicator on the dial shows the wearer which setting is being adjusted. The collection features three new grand feu and two new cloisonné editions boasting intricate artistry and practical advancements. 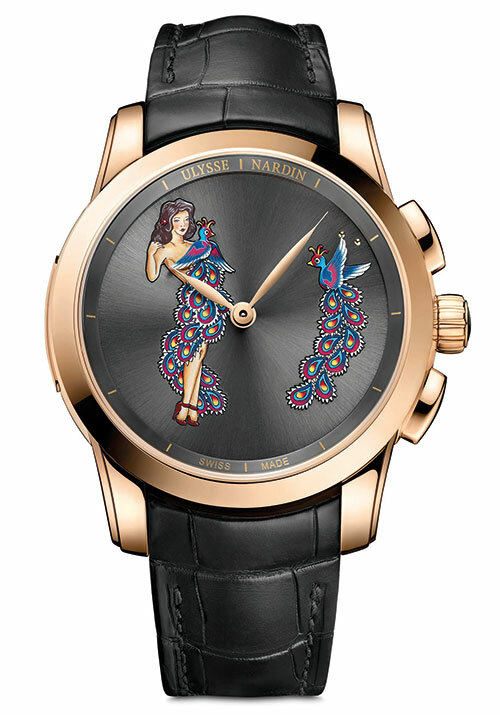 Bold and bodacious, the flamboyant grace of a burlesque dancer is highlighted in the new limited-edition Hourstriker Pin-Up watch. The miniature painting of the woman covered in peacock feathers is hand-applied by in-house artists, using acrylic colors and delicate brushes. The brand’s beloved ‘secret watch’ tradition meets couture in a creative interpretation of the fluidity of a ribbon, gracefully circling the wrist. 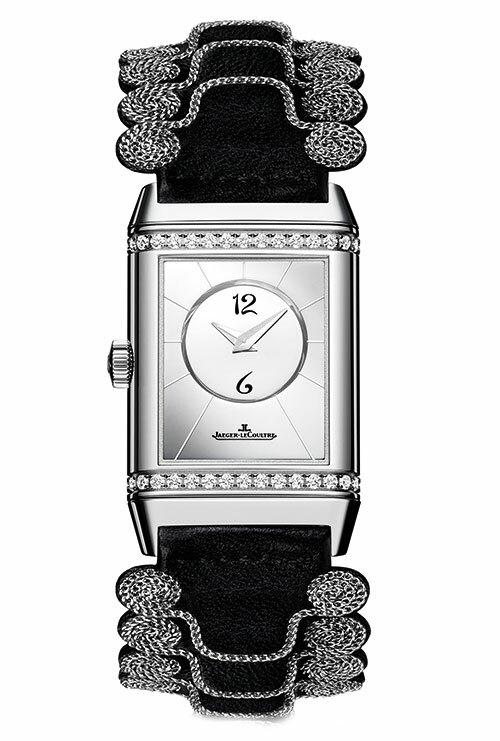 The glittering bow that makes up the Ruban Secret watch — embellished with a gradation of pink sapphires and diamonds — opens and closes to either reveal or conceal a bedazzled dial. The new Charms Extraordinaire creations captivatingly bring together two of its emblematic sources of inspiration: nature and fairies. 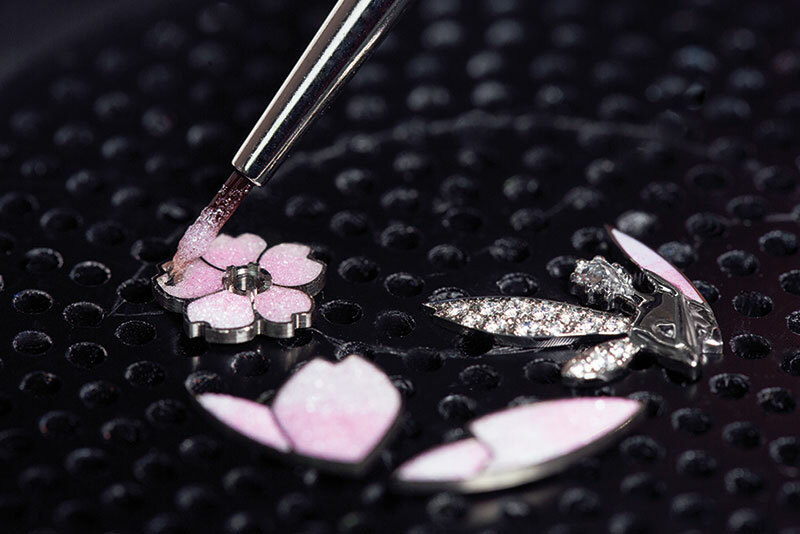 Of this series, the Charms Extraordinaire Fée Sakura employs traditional skills like sculpting, painting and cabochon enamelling to create a mini tableau inspired by cherry trees in bloom. The Cadenas collection, enhanced by jewels, adorns the wrist just like a bracelet, with a double snake chain. 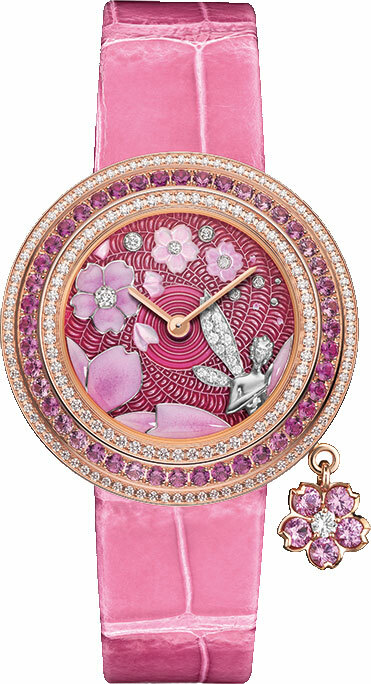 The pink-gold version is dotted with princess-cut rubies on the upper part of the case and the clasp, creating a stunning contrast against a mother-of-pearl dial. 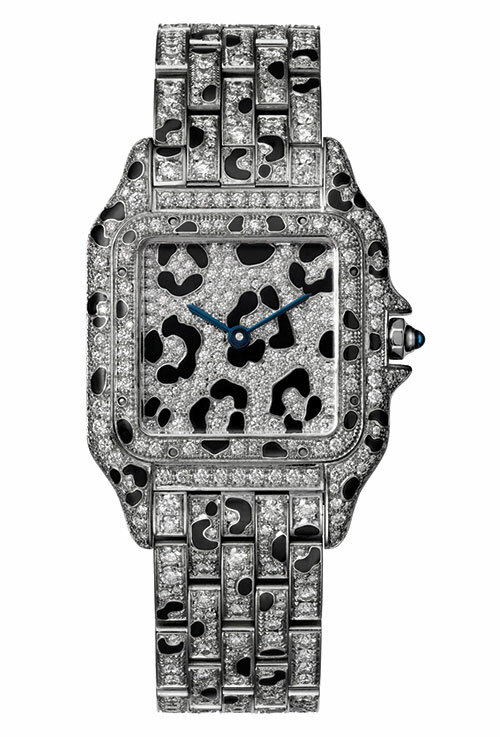 The Panthère de Cartier, in white gold with diamonds and black enamel spots, makes a grand splash as part of the brand’s resurrection of its iconic Panthère collection. One of the most sensual pieces of this year’s SIHH launches, it makes for an alluring addition to the most refined watch collections.